Prime Minister Netanyahu has stated that all people seeking asylum from African nations must choose between deportation to a “third country” or indefinite imprisonment in Israel. The media have reported that Netanyahu is trying to close a secret deal with Uganda to deport asylum seekers there after Rwanda backed off from the deportation deal due to international pressure. 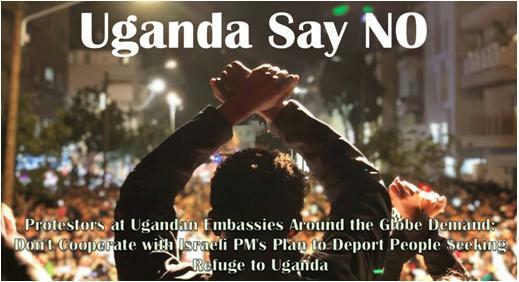 The Ugandan government publicly denies having an agreement to accept people deported from Israel, but statements by Israeli government officials and local news reports indicate that Uganda may have indeed agreed to this plan.